Come and see for yourself that our dishes are delicious, full of fantasy and flavour. We put a special emphasis on the fact that what you get on your table are meals made of fresh seasonal ingredients from the surrounding forests, meadows, pastures and gardens. 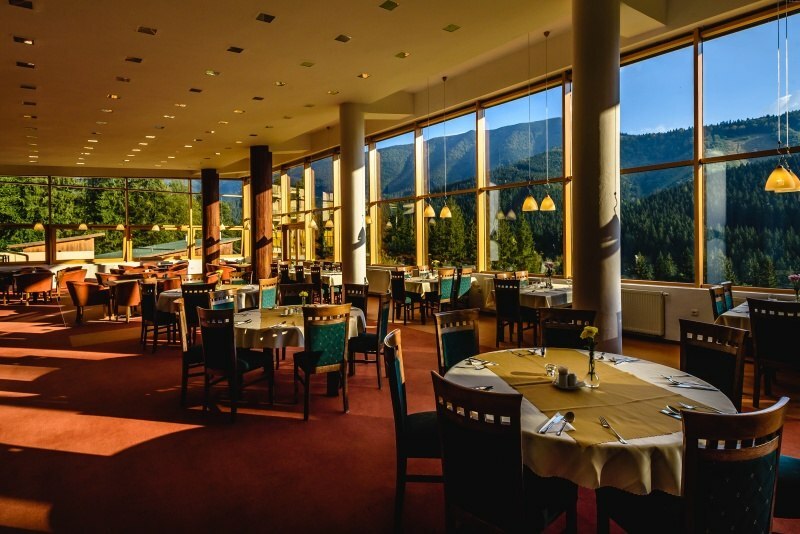 You are bound to find specialties of the local Terchová cuisine in our menu. We know that, here, in Jánošík´s homeland, our guests want to try mainly the traditional homemade delicacies, such as ´bryndzové halušky´ (potato gnocchi with sheep cheese), ´pirohy´ (potato-based pierogy) or poppy ´šúľance´ (potato-based little rolls). Game and venison delicacies are what we are extremely proud of in our menu. A hotel in the mountains without these delicacies is not a proper hotel. We do our best during the preparation so that the dish on you table is perfect. 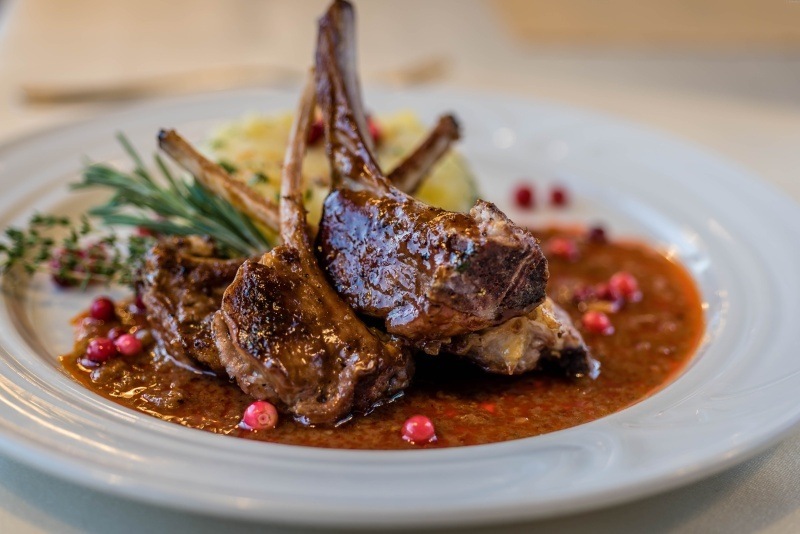 The Boboty Hotel ´s menu is full of the best dishes you cannot resist – delicate roast lamb, venison leg on cream, or homemade game pâté with onion jam. Every morning in the mountains is beautiful. 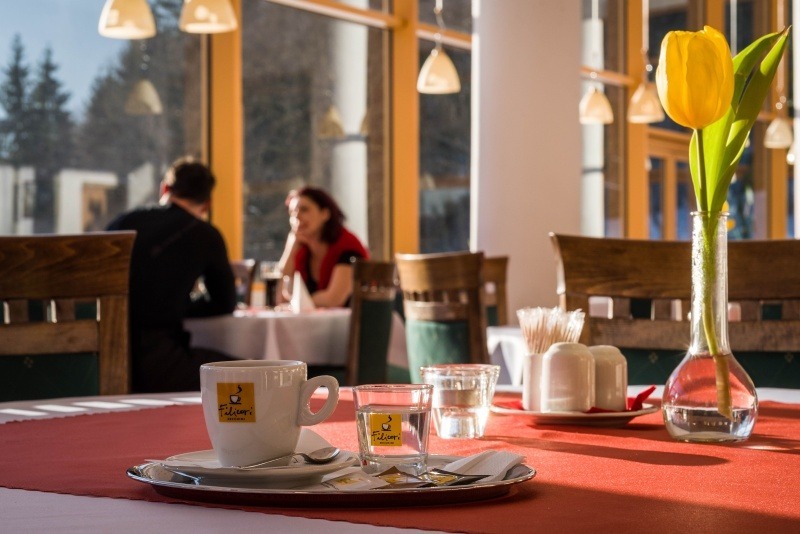 In order to make the day beautiful and full of energy as well, no matter what our guests are up to – hiking trips in the surroundings in the summer, or enjoying the skiing slopes in Vrátna Valley – we make a special effort to make the breakfast at our hotel delicious and rich – hot and cold buffet, various kinds of fresh bakery, aromatic coffee and tea. In the summer season dinner is served either according to the menu or in the form of buffet tables. In the winter season dinner is served in the form of buffet tables so that the guests can choose whatever they like to match their taste and mood. Every evening a different delicious soup is served to keep the diners warm. A wide selection of meat, fish and meatless dishes, various side dishes, salads, fruits, and desserts and sweets to savour. Our drinks menu is tailored to everybody´s taste. At the same time we always try to invent something new to match the season – e.g. winter mixed drinks to warm you up, such as grog, punch and plum brandy. And now just imagine the splendid atmosphere that your wedding or a celebration will have in our restaurant. In the summer, the beautiful views of the grand, green ridges of the Malá Fatra. In the winter, with bated breath, watch does come to the wooden deer feeder or approach the very windows of the restaurant. Fairy-tale views in each season! Enjoy your meal and the fantastic, undisturbed views!